Many of you have asked where you can help. Some are already helping at your churches while others are starting to collect several items needed by those affected by this devastating flood. Rotarians, if you or any of your families have been affected, please let us know. We are here to help. Above are the locations where you can drop off your items and where you can assist. This coming week many agencies will begin distributing masses of food, clothes, toiletries, and cleaning supplies. 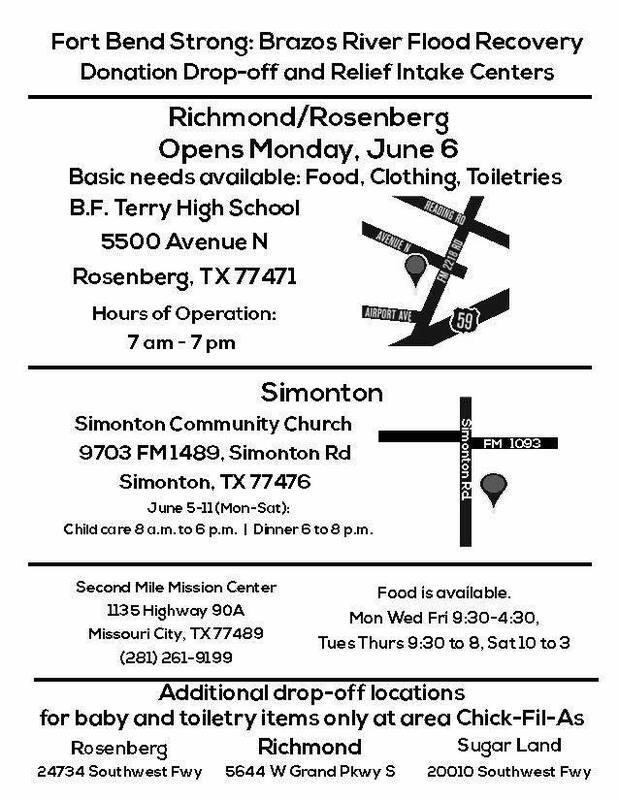 Please commit as a Richmond Rotarian to help at B.F. Terry High School Drop-Off and Intake Center anytime from 7am – 7pm. Bring your items Tuesday and we can drop off for you. Wear your Rotary shirts and hats while volunteering and let’s meet the needs and challenges of our city. If you can help every day or a few times a week - all help will be greatly appreciated.